Adam Winn is a singer-songwriter from Fort St. John, British Columbia whose music is profuse with the ghosts and rustic setting of his home. On his newest self-titled EP, Adam Winn, tackles the dynamics of relationships, both healthy and otherwise, and the transmutative quality of life, influenced by other original voices like Ray Lamontange and Glen Hansard. Strongly narrative based, Winn’s songs are based on his own life experiences, which include working as a professional firefighter for close to a decade. There’s a direct simplicity to his lyrics that forces him to deal with these stories in ways which are both forthright and poetically revelatory. The five songs on this EP fall into two categories—third person narratives of other people’s lives and self-deprecatingly personal ballads. Those in the first camp, like “Creston,” are ripped straight from the Heartland textbook, but are as convincing as they are reverential. But it is the songs in which Winn looks inward that truly shine the brightest. Winn isn’t afraid to dig deep on tracks like “Better Friend,” and consequently, he comes out with something truly inspired and pure. 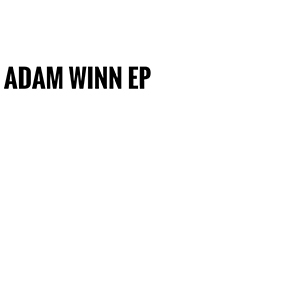 Adam Winn is a refreshingly concise and solid collection of songs which exist best together as one indivisible unit.